3D printing, or additive manufacturing, uses a three-dimensional digital model to create a three-dimensional physical model of that object. 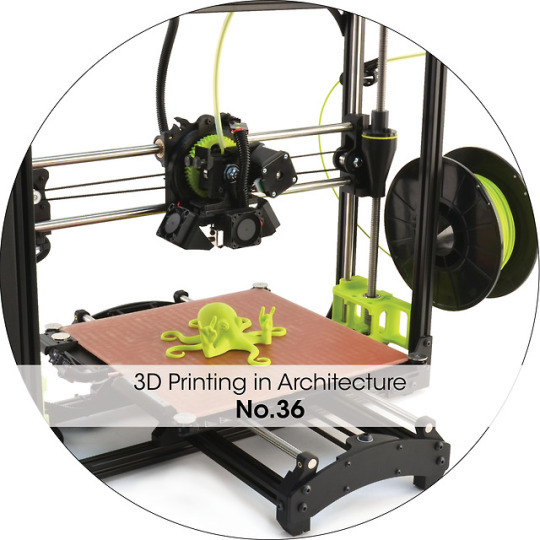 3D printing is also called additive manufacturing because of its printing process; the 3D printer prints material layer by layer in an additive process, until the model is complete. This is a different process from the typical method of production that uses subtractive manufacturing (the process of cutting material away from a solid block of material to reveal the physical model or form). While the additive manufacturing process can be a more efficient and cost effective way to produce these forms than subtractive manufacturing, it is still a fairly new technology – the first 3D printer was patented in the 1980’s. Up into the 1990’s, 3D printers were large, expensive machines used almost entirely for industrial applications and prototyping. 3D printing has come so far since then! 3D printers now come in a range of sizes, cost less, and can be a household item. With the growing accessibility of 3D printers comes the growing use of them in multiple different industries – medical, dental, fashion, automotive, aerospace, architecture, and more. While some of the most exciting things we can print today include cars, aircraft parts, and homes, the possibilities as to what you can 3D print now are endless – dresses, ceramics, and even food! The range of materials you can print with is growing as well. Some of the most popular materials we print with today include plastics and wood composites, but we can also print with metals, concrete, ceramics, and even food. So how can additive manufacturing pertain to architecture? We can use 3D printing in architecture to print anything from scale models to buildings at a one to one scale. These designs can be printed using a certain type of plastic, but with the large range of materials that we can print with today, we can even 3D print buildings with materials such as concrete, wood, and masonry! Printing materials can be created by recycling construction waste or other recycled materials, proving to be beneficial to the environment as well. We can use 3D printing in the representation of a design as well. Scale models can act as a valuable design and communication tool between architects, and 3D printing allows designers to create these scale models quickly and efficiently. When changes are made to designs, instead of starting a new physical model from scratch to represent these changes, architects and designers can simply edit their digital file and print a new model again. This quickly changing technology is super exciting for the development of many industries around the world, and I’m very excited to see how it continues to change how we make things in the future!